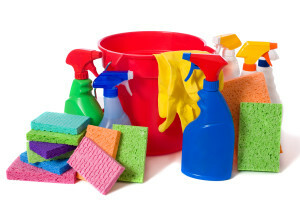 At Schmid Cleaning, we’re proud to put our name on our services. The care we put into dusting your home or office, mopping the floors, and leaving a shining and spotless space is truly unrivaled. Since I was young I was taught keeping a clean house was essential for physical and mental health reasons, and Schmid Cleaning keeps that in mind every time we clean a house. Bathrooms, baseboard and moldings, and proper dusting all require a high level of attention to detail and dedication to doing the job right. There is no rushing when it comes to a clean home and Schmid Cleaning is dedicated to taking the time to make everything shine. We’re positive that we can leave you saying wow when we’re finished. It’s our goal to leave your home spotless, including your stoves, dishwashers, sinks, refrigerators, and your entire kitchen, bathroom, and the rest of your house.